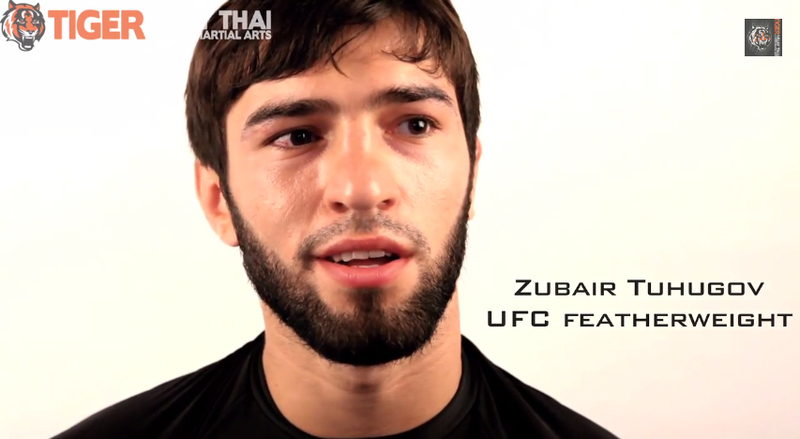 A member of Tiger Muay Thai’s MMA fight team, Zubaira Tuhugov(Зубайра Тухугов) of Chechnya, will be making another UFC(Ultimate Fighting Championship) debut on February 15, 2014 in Jaregua do Sul , Brazil at UFC Fight Night 36. The fights are headlined by middleweights Lyoto Machida and Gegard Mousasi. Tugogov(15-3) will be taking on another UFC newcomer, Douglas Silva De Andrade(22-0). Tukhogov has fought in numerous promotions including Cage Warriors, PRO FC and Battle at Moscow before signing with the UFC and is a former Russian Combat Sambo national champion.